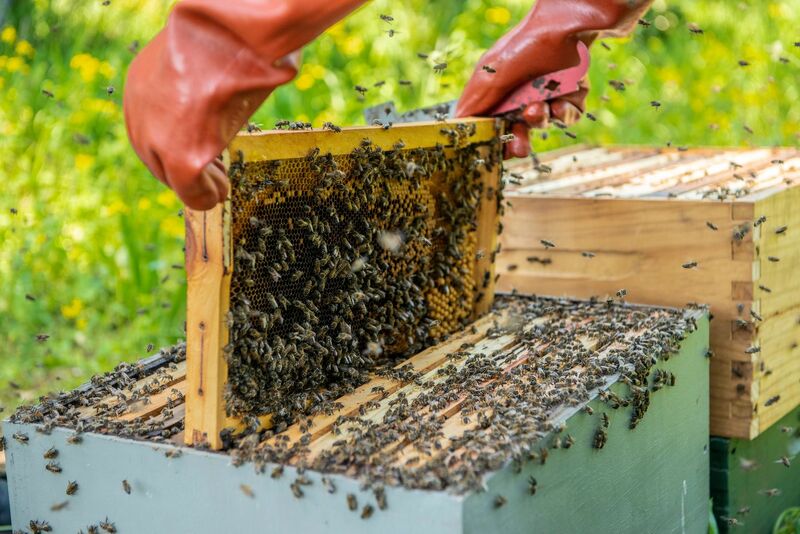 In exciting news, the number of Impact Farmers choosing to invest in beehives has increased significantly in the past two months and hives sold out late in January. We added more hives to the platform on 14 February 2019. The new hives have been built but are not yet swarmed. If you a purchase a hive from the new stock, you will receive notification when the hive is swarmed and the bees begin to produce honey. To date, 3882 hives have been sold with 1634 in the Eastern Cape and the rest are based in Mmpumalanga. Both Mpumalanga and the Eastern Cape have been experiencing drought conditions and this has meant the crops are flowering two months later than usual. The Mpumalanga hives are currently in the Saligna (Bluegum) plantations and the Eastern Cape hives are currently with early flowering indigenous plants called scutia myrtina, also known as ‘droogie’ or Cat-thorn. The honey yield will be aggregated across these owners and we will be able to confirm payment dates closer to the next harvest. Honey is currently sold wholesale to Hurter’s Honey who exclusively pack honey for a major national supermarket. Nearly 7,000 Impact Farmers have bought assets. Download the Fedgroup App today.